Described as “poetic movement performed by actors, dancers and musicians,” Wild Excursions Performance’s new show transforms poetry into physical theatre. “It’s kind of like adapting one marginalized, ignored, misunderstood art form to another,” laughed artistic director Conrad Alexandrowicz. The concept for this show came about a few years ago when Alexandrowicz had the idea to work with poetry to create movement theatre. “I’m a fan of Lorna Crozier’s poetry. I contacted her and she said there’s a deadline for a SSHRC grant,” said Alexandrowicz. 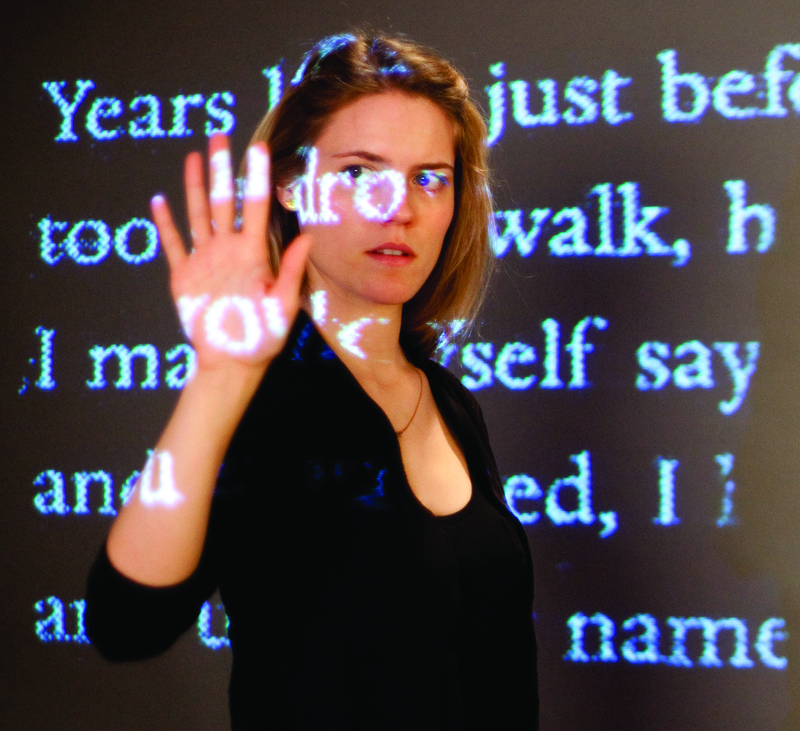 The two began working to secure the grant funding from the Social Sciences and Humanities Research Council and were successful; along the way more collaborators became involved in the project including another poet, Erin Mouré. “There’s a tremendous amount of untapped material in poetry,” said Alexandrowicz. Six actors and two dancers make up the cast and the two disciplines work well together: “The dancers are talented improvisers who made up a lot of the movement material,” while “the actors are good at moving text around and editing things,” explained Alexandrowicz. Being open to collaborating with the performers is also an important part of the creative process. “I’m open to all kinds of ideas. If I weren’t I’d be a fool,” he said. Being an interdisciplinary show and working with poetic text, there are some differences for the actors: the language can be very different than what they’re used to and “there is no stable character-actor relationship,” said Alexandrowicz. Their roles are changing within the text so quickly and sketched in the moment. “Sometimes I wish they could take the text in pill form,” he said, explaining that it’s hard to do movement work when holding a script. The poets were also involved in the creative process and provided their feedback and suggestions to Alexandrowicz who took them into consideration when working on the show. Mouré acted as a sort of dramaturge to make sure that her poem dealing with ethnic conflict between Ukrainians and Poles was interpreted in a suitable way. Alexandrowicz said there are so many performance possibilities with poetry and the way it can be interpreted into a dramatic utterance of the text. “You have to open yourself up to a whole new use of language and movement,” he said. There are many universal themes such as love and the importance of family that people can relate to, and the words have plenty of emotional impact. “There’s language in there that I just adore,” said Alexandrowicz. Full of dance, theatre, poetry, and music Mother Tongue will appeal to fans of all artistic disciplines. Mother Tongue will be presented by Wild Excursions Performance at the Scotiabank Dance Centre from May 14 to 18. For more information, visit wildexcursions.ca.